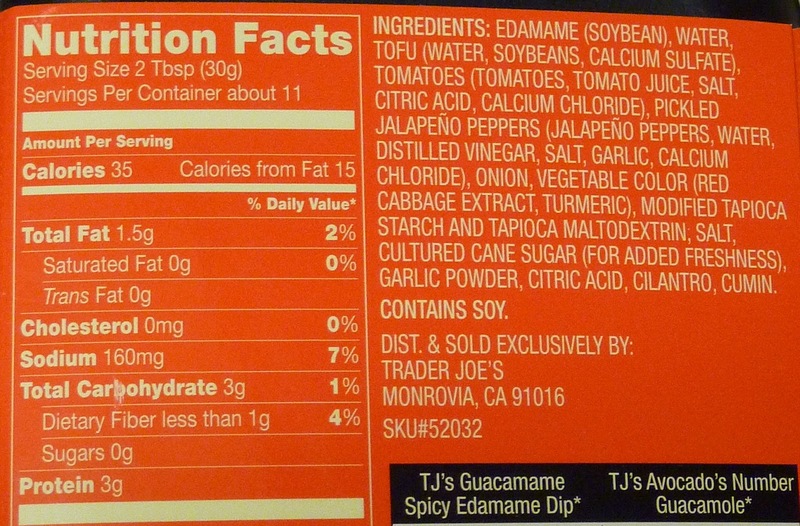 If you like the texture of guacamole and the taste of edamame beans, then this product might be right up your alley. It's slightly spicy, so there's something weirdly reminiscent of wasabi about it too, although the spice level doesn't quite have the nasal passage-clearing potency of actual wasabi sauce. I might be wrong, but I think most people can handle the spiciness of this product because it's balanced with cool, smooth edamame. or rangoons. It's harder to quantify the number of actual soybeans when they're just a big green mush. Like really, ask yourself how many avocados you're actually eating next time you have guacamole. "I just ate three quarters of an avocado. Maybe." A rough guesstimation is probably the best you'll be able to come up with. But that brings me to my next point. As interesting and novel as this stuff may be for a single purchase, I simply couldn't see it replacing guacamole in our household. Weird nausea issue aside, I think I just like the taste of avocado better than edamame—especially when we're talking about green mush. Edamame beans are better as beans if you ask me. 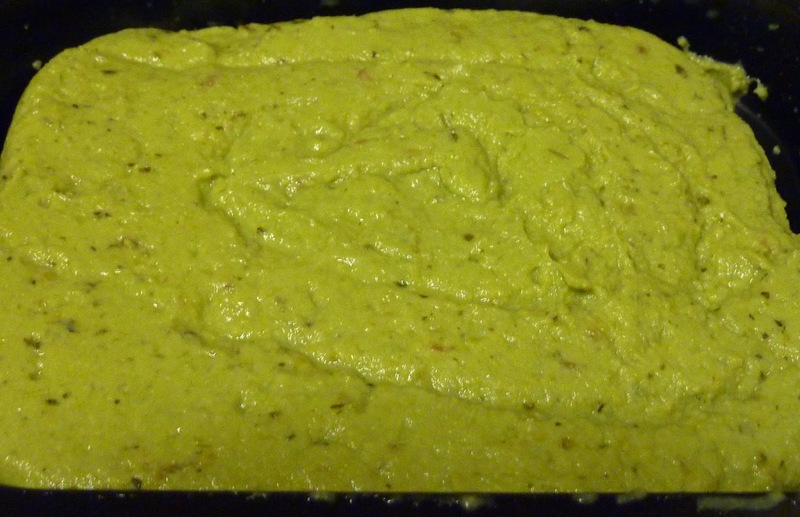 Sure, guacamame has a few advantages over regular guac. It has a really clever name. It doesn't brown nearly as fast, although we did notice the slightest bit of darkening toward the end of the package. It has fewer calories and less fat. Plus, it's actually spicy. They need to make a regular avocado-based guac with a bit more of a spicy kick. Now that would be an improvement over the original. 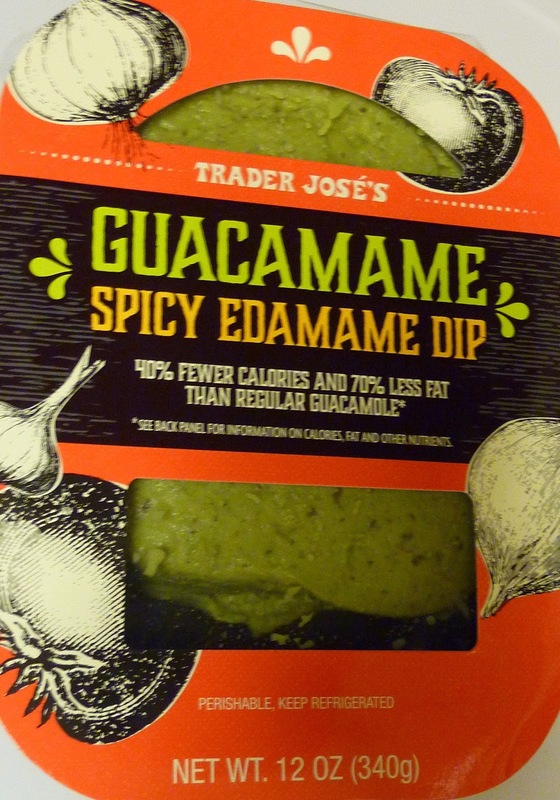 This stuff is fun, weird, and tasty with tortillas, but guacamole is just a better product in the end. Sonia agrees on that point, but she could see herself alternating between guacamame and guacamole from one time to the next. After all, variety is the spice of life—and FYI, pickled jalapeño peppers are the spice of this $2.99 pack of guacamame. Sonia gives it 4 stars. I give it 3. Maybe the nausea is from the combo of the vinegar and jalapeno? I saw it in the store and almost got it.. then wondered hth to store it... I don't trust the fold top would reseal and it would be brown gunk the next day. Maybe, KBF. We just put ours in the fridge and it kept pretty well. Not much browning. My local TJ's had Guacamame as a sampler yesterday. I sampled and then I bought. However, I was slightly disappointed when I opened the package at home because it tasted to me as if the product had spoiled. It has an odd spicy sensation when you first taste it, and, to me, that reminded me more of a spoiled/fermented taste than a yummy pickled jalepeno taste. Curious if you could detect this flavor as well. I'm surprised at this got such a positive review. This product was pretty polarizing in my store - most of my coworkers hated it, while the rest of us were like, "meh. Kind of makes me want REAL guacamole." I can't say I loved it nor hated it. It might be nice as a spread. The fact that it keeps longer than "real" guac is a nice plus, too. They were sampling this at my local tjoes and I thought it was tasty. I was still a fan until I noticed this contained NO actual avocado. If theres no avocados, is it really even guac?